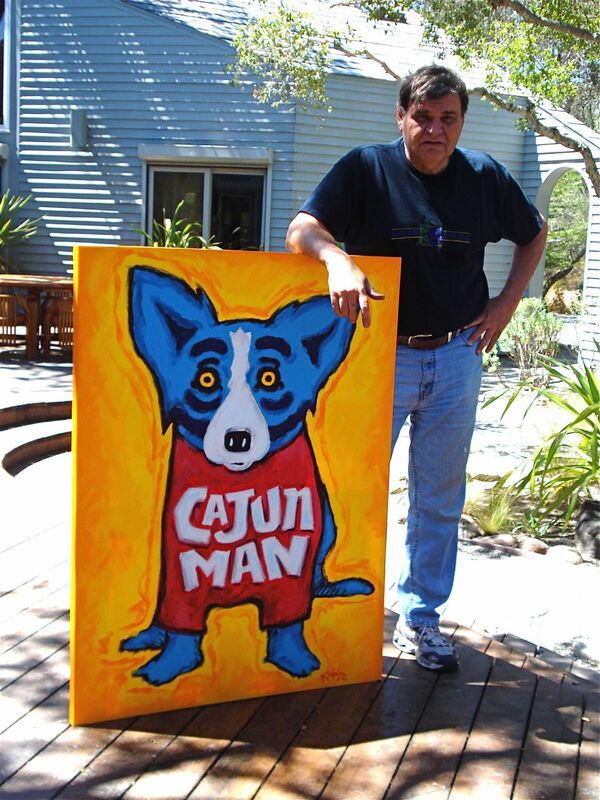 It was ten years ago that George Rodrigue built his studio in the hills of Carmel Valley, California. Since that time, although we live most of the year in New Orleans, ninety percent of his work comes from this peaceful home on the West Coast, an escape from everything but nature and painting. “I first fell in love with California when I went to art school in Los Angeles. It was exciting because of the new art coming out of that area. I discovered the Monterey Peninsula early on. 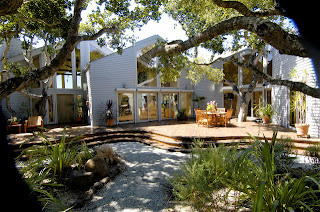 The little town of Carmel-by-the-Sea was full of artists and had a large concentration of studios and galleries. 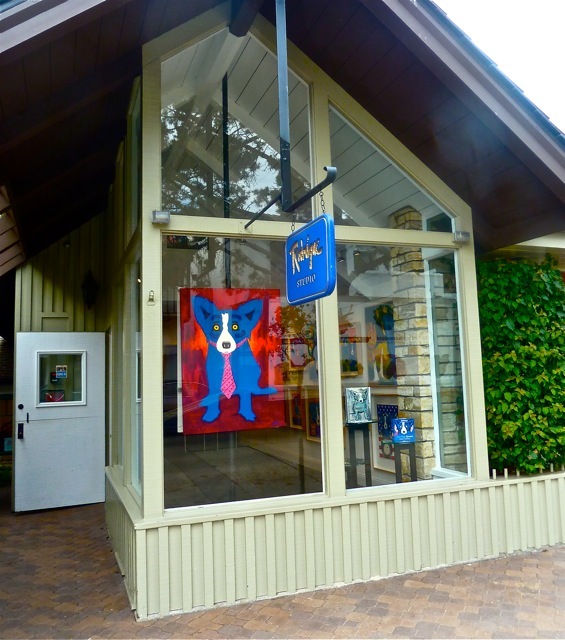 This year the Rodrigue Gallery in Carmel, California celebrates its twentieth year. We moved recently to a larger location two blocks from our old one, described as the West side of Dolores between Ocean and 7th, in a town without addresses. I worked at the Carmel gallery, then known as Galerie Blue Dog, for six years in the early 1990s, returning to Louisiana when George and I married. Along with my co-workers, Sandra Crake (now in New Orleans) and Mary Threadgill (still in Carmel), we enjoyed the exciting early Blue Dog years, including lines at the door following our grand opening, thanks to George’s long-time friend Chef Paul Prudhomme, who cooked Cajun food in the gallery for the town. We celebrated together when the Blue Dog landed on the front page of the Wall Street Journal. We appeared out of business for months (and we raised prices) as George painted inventory following the buying frenzy accompanying his Absolut art ads. We introduced the seaside community not only to a Cajun artist and Cajun food, but also to Mardi Gras, the Saints, and LSU, with related paintings, parties, and decorated windows. 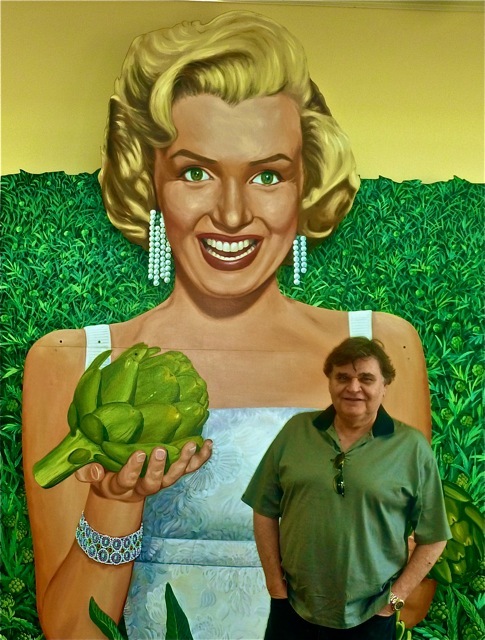 This year we hired a California native who worked for many years at a nearby gallery. Jenny Johnson made her first trip ever to Louisiana this summer, where she visited not only George’s gallery, but also “Blue Dogs and Cajuns on the River” at the LSU Museum of Art, the Blue Dog Café, and our new GRFA Education Center. Last week we secured a major George Rodrigue exhibition (Fall 2013) at the National Steinbeck Center. 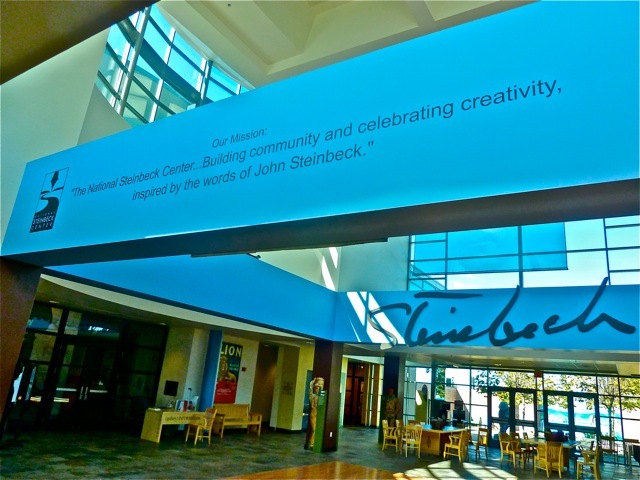 John Steinbeck was born and raised in Salinas, a city where he remains controversial, even fifty years after his death, especially among the established agricultural families. "We’re defined by the 'lettuce curtain'," more than one person explained, a term that jolted me with its divisiveness, historical significance, and possible political incorrectness - and yet the perfect way, maybe the only way, to describe the mere 17 miles (ironically) between the field workers of Salinas, California and the golf-playing elite of Pebble Beach (or similarly, our fairytale world in downtown Carmel). 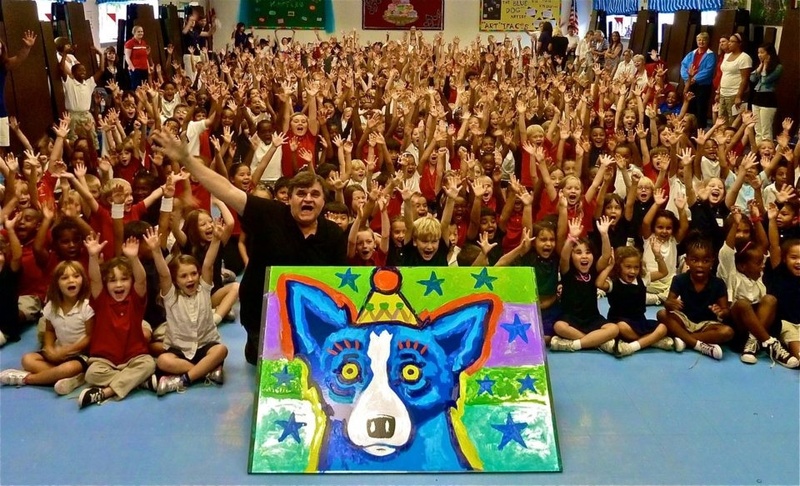 For George Rodrigue and our Foundation, this is the perfect opportunity for a major exhibition in central California, as well as education outreach with the Arts Council for Monterey County. George is already working on concepts for large-scale new paintings, which may be his first works ever truly inspired by California. The state is second in George’s heart only to Louisiana, and we look forward to exploring connections between Steinbeck and Rodrigue ---- one having preserved his culture in words and the other in paint. 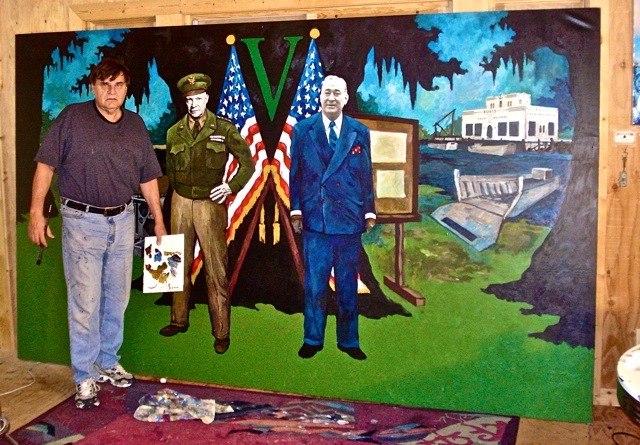 Like Steinbeck’s stories, George’s Cajun paintings were controversial from the start. That said, I recall a reporter who interviewed George not long after we moved to Carmel. George looked at him and laughed. What a wonderful overview (with hindsight) about how, "What goes around...comes around." I love the '66 photo on Hwy. 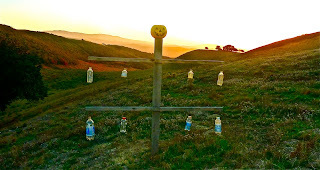 1 near Malibu. I am very very excited to see his California works-in-the-making. (loved Marilyn and the Artichoke. Where is it? )Hope this is where his ecological aspirations evolve with a yogic twist by you! Your Ca. Studio/Home is just full of light and life! Beautiful. The grand opening with Chef Paul was great. I remember it well - enjoyed it very much. A lovely gallery. 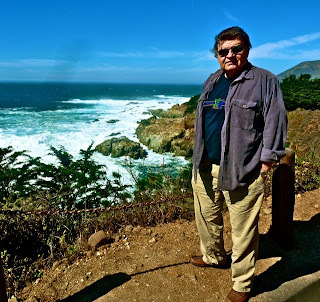 I am a California native and love the Pacific Coast and Ocean; however, I have lived in Central Louisiana for more than 40 years. 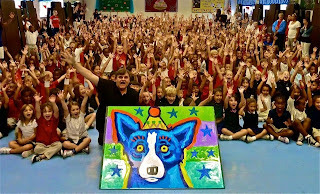 I first saw Blue Dog at a Blues Festival in Baton Rouge. I am a Louisianan and in Massachussetts currently (temporarily). 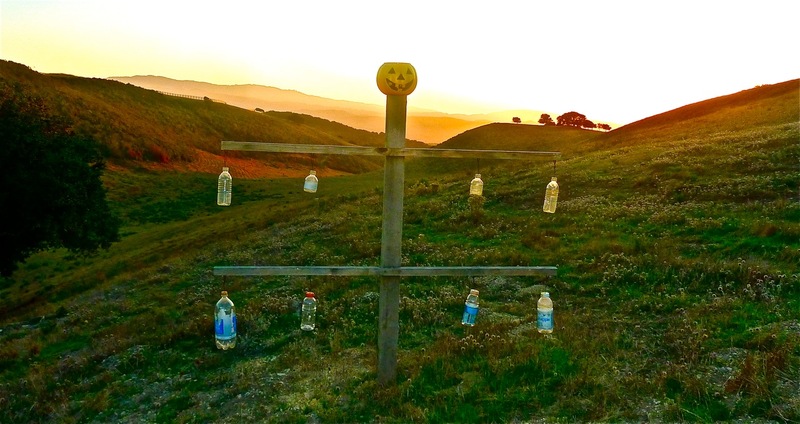 I thoroughly enjoy Blue Dog, your "Musings," and all things related to home." Thanks again for sharing. Thanks so much, Carol. I appreciate your reading and your comments. I hope you get home soon! My Mom died ....I don't know what people see in my paintings except my heart and soul all over the canvas but they buy them ....I wish it was a little more of a steady income but I am praying that in time it will come. 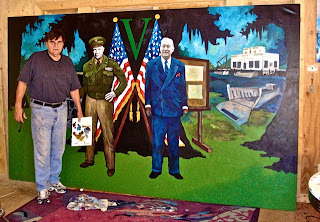 Tomorrow one of my paintings will be auctioned off at the Foundation of Historical Louisiana at the Old Governors mansion . Im kind of lost in the art world and any advice you could give would be greatly appreciated my paintings are all sculpted on to canvas they are on Facebook. If you get a chance I would love any constructive critiquing you could offer! Thank you, Cyd. I'm headed now to your facebook page, and I enjoyed the pieces you posted on mine. Many thanks for sharing, and best of luck with the auction. It's a great opportunity to expose your artwork to others --- and it's a great cause! 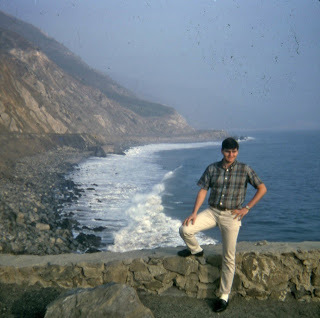 Very nice website, Wendy Ask George who took that picture of him in 1966 near Malibu.